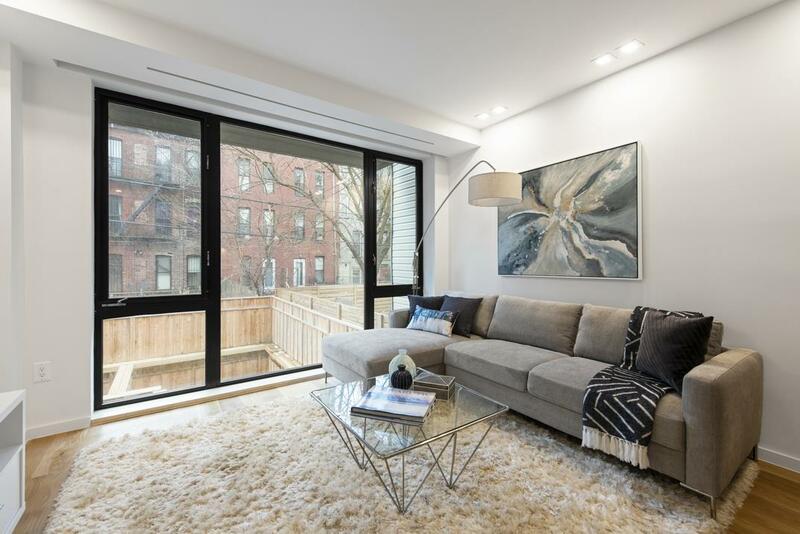 548 Lafayette Avenue, #1-B, Brooklyn, NY, New York 11205. 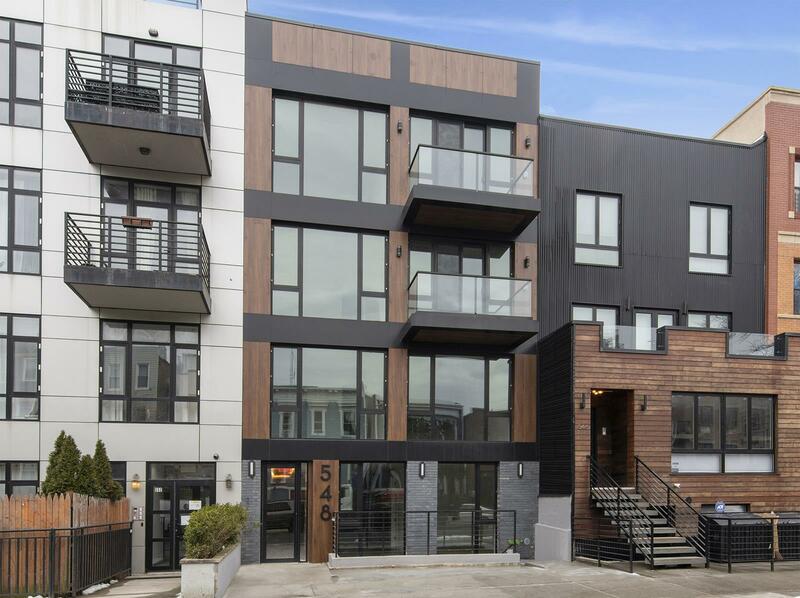 Unit 1B at 548 Lafayette Ave is an oversized one bedroom, one and a half bathroom duplex condo with 1,152 sqft of living space and 445 sqft of private outdoor space! This unit is south facing and receives tons of natural light throughout the day. The private patio and landscaped backyard are must see! 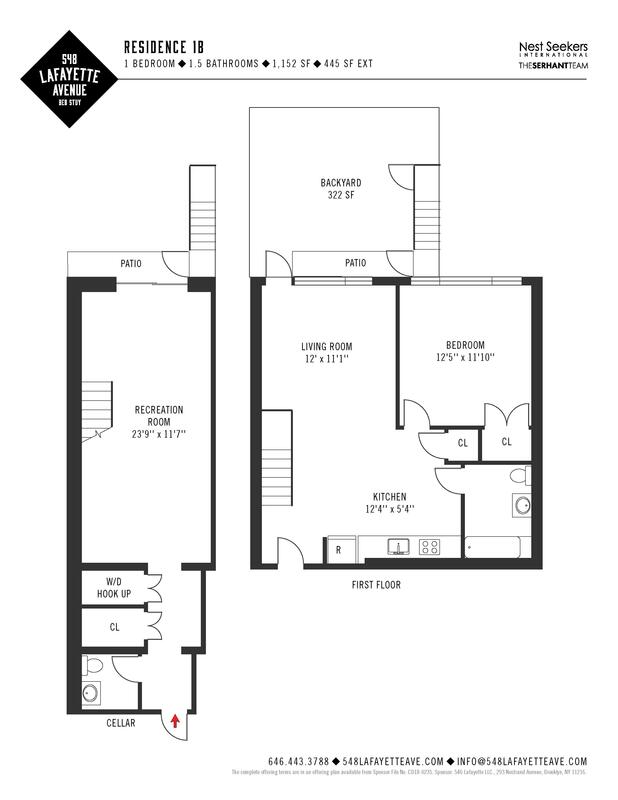 This unit offers tons of options for live and work space spread out over two floors. 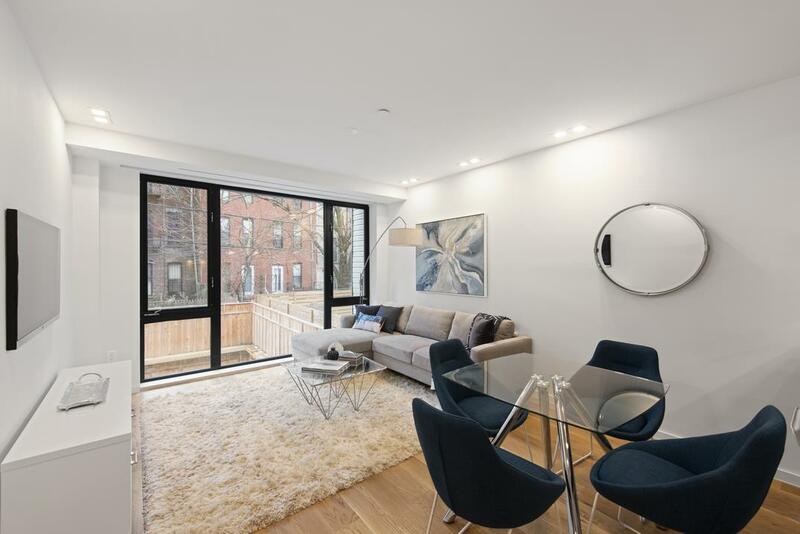 Features include gorgeous white oak floors, floor-to-ceiling windows, airy ceilings, thoughtful open plan layouts, central heating and cooling, washer/dryer hook-ups, and a Leelen virtual video intercom system. 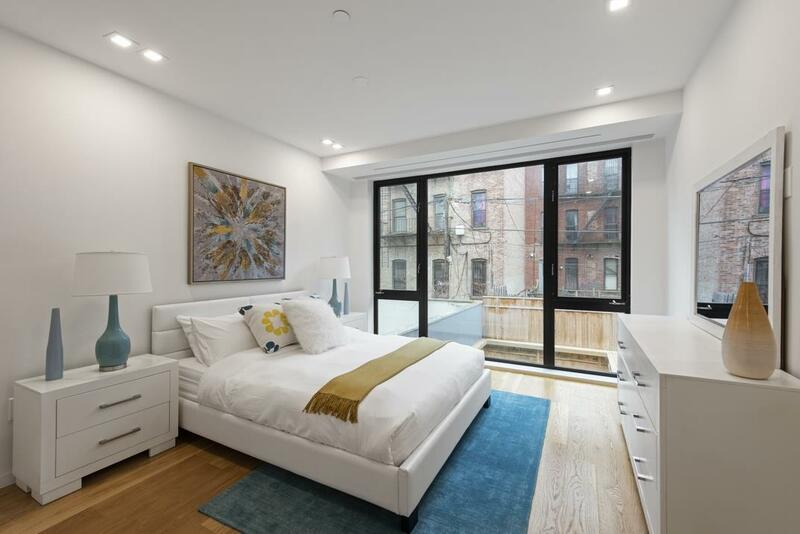 Oversized bedrooms possess huge walk in closets and can easily fit King-sized beds with room to spare for dressers and other furniture. 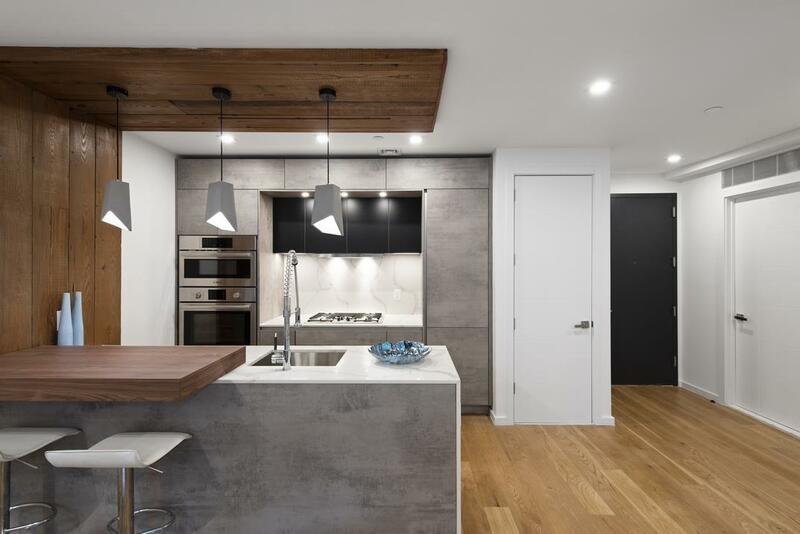 Chic eat-in kitchens are equipped with custom grey cabinetry, waterfall peninsulas, sleek white quartz countertops, matching backsplashes, exposed wood accents, and a suite of high-end stainless steel appliances from Blomberg, Bosch, and Xo. 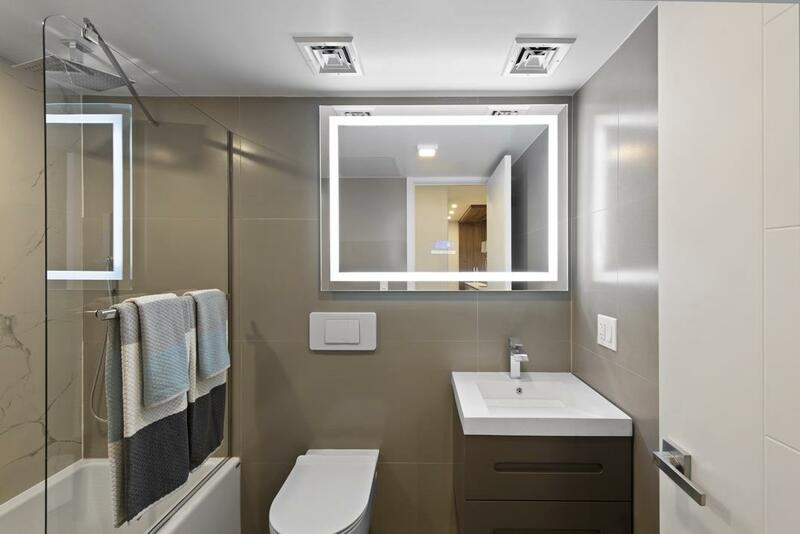 Bathrooms include stylish gray and Carrara tiles, tankless toilets, deep soaking tubs, and Bluetooth-controlled vanity mirrors with integrated sound systems. 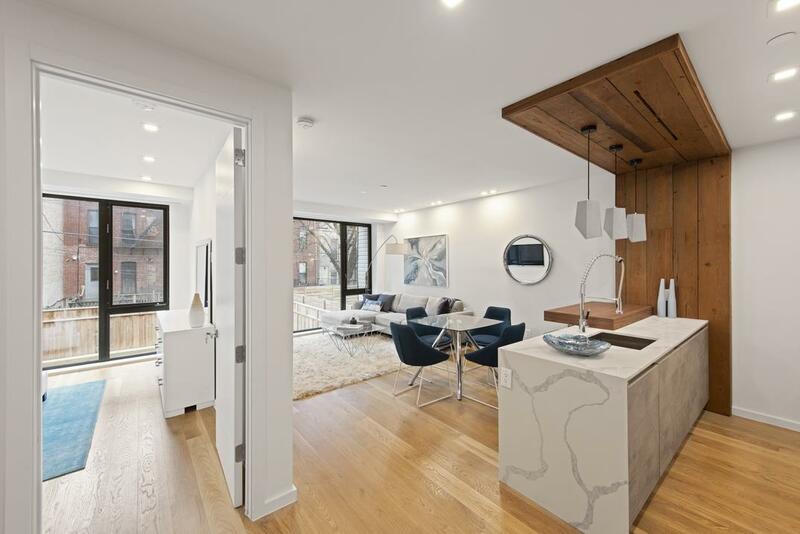 548 Lafayette Ave is an exceptionally designed eight-unit boutique condominium building. Located on the border of Clinton Hill and Bedford-Stuyvesant, 548 Lafayette is surrounded by a multitude of restaurants, cafes and cocktail bars such as Speedy Romeos, Dough, Baron's, Captain Dan's Tavern, Samurai Papa, Lucha Lucha, and many more! The building is on the corner for the G train and is a couple blocks to the express A/C train on Fulton Street. Storage is available for purchase on a first come, first serve basis. Photos of model unit #2B to show finishes. The complete offering terms are in an offering plan available from the sponsor File No. CD18-0235.